Born in 1970, Bernauer successfully completed the Product Design degree at the State Academy of Art in Stuttgart in 1999. During his academic years, Bernauer had also the opportunity of studying at the Central Saint Martin School of Art, in London, as a guest student. After finishing his studies, Bernauer started to work as a freelance designer and graphic artist for numerous companies and agencies, while he was simultaneously working as a producer and sound designer in his own business: ‘Stereon Studio’. In 2001, Jörg Bernauer founded his own design studio, ‘Bernauer.Product’. Bernauer received the ‘iF Product Design Award’, the ‘Red Dot Design Award’ and he was also nominated for the ‘Design Award of the Federal Republic of Germany’. Concept C Sofas and Chairs designed for welcome areas. Single chair, two-seater sofa with or without armrests. Concept C Lounge Sofas create acoustic areas and can be easily rearranged. 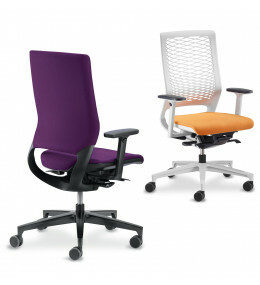 Mera Task Chairs with elastic mesh or fully upholstered backrests in black, white or grey. 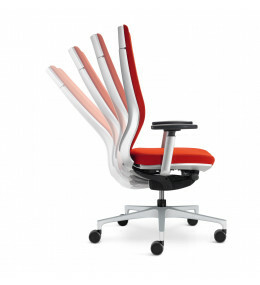 Moteo Executive Office Chairs offer lumbar support and ergonomic shape, ideal for contract areas.